Sunglasses aren’t just about style and comfort. Long-term exposure to UV rays can cause permanent damage to your eyes. Protect your vision from the effects of the sun through sunglasses that offer 100% UV protection. Stoney Creek Eye Care & Eyewear Boutique carries an extensive range of sunglasses from top name brands; all of which offer 100% UV protection. Check out our full list of brands below. BOSS combines clean lines, modern shapes, and imaginative detail to create original eyewear fashion. Fresh convention meets classic style architecture in our eyeglass and sunglass collections. Carrera’s history dates back to 1956, when Austrian sports eyewear maker Wilhelm Anger founded the brand, drawing inspiration from the “Carrera Panamericana” road race - At its time the longest, fastest, and most dangerous race in the world. Exclusive creations crafted with charm and elegance define the Dior brand. Eyeglasses and sunglasses made with cutting-edge material that epitomize modern elegance with optimal protection. The name Armani has been synonymous with unrivaled Italian style all over the world for over 30 years. Perhaps best known for revolutionizing fashion with his unstructured jacket in the Eighties, Giorgio Armani has continued to define the well dressed ever since. Kate Spade New York has over 140 retail shops and outlet stores across the United States, and more than 175 shops internationally. our colorful products are sold in more than 450 doors worldwide, in every time zone and on every continent. whether in San Francisco, Sao Paulo or Shanghai, our shops are always warm and inviting. MODO is dedicated to consistently designing eyewear that blends effortless minimalism with harmonious functionality. Their creative inspiration is found in the cities MODO resides in: New York, Milano, and Stockholm. Inventive technology and colorful designs achieve a highly unique collection of beautiful frames. From the vintage classics to the present-day trendy frames, Ray Ban has always been durable, comfortable and attractive. From celebrities to your friends, Ray Ban is always a favorite. Swarovski has brought their crystal elements refined style to the world of eyewear. Their elegant collection features accents with their renowned precision cut crystals, rich colors, and fine craftsmanship. Luxury eyewear has never sparkled so wonderfully. 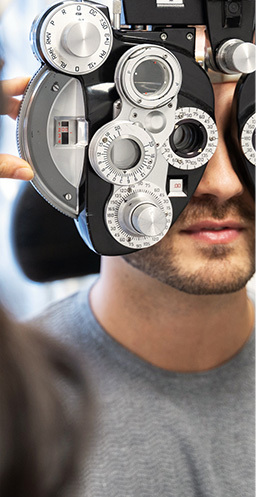 Going Above & Beyond the Average Eye Exam Our comprehensive eye exams use state-of-the-art technology to take an in-depth look at the health of your eyes and visual system. We’ll make sure we take the time to talk with you about your eyes and address any questions or concerns you might have. 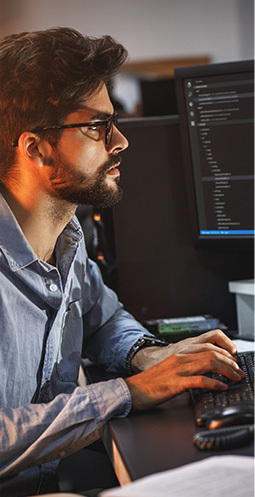 Saving Your Eyes From Digital Strain Digital eye strain can cause headaches, difficulty focusing, and can even compound existing eye issues. Stoney Creek Eye Care & Eyewear Boutique has solutions and strategies to help you reduce the impact screen time may have on your eyes. 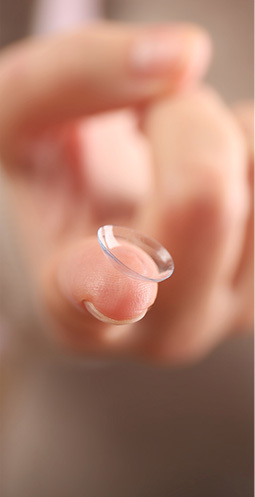 Comprehensive Contact Lens Services We offer thorough contact lens examinations and fittings to make sure you are a candidate for contact lenses, and to provide you with the best options possible. We understand that life is hectic. We want to help make it a little simpler, which is why our centrally-located practice offers extended hours on Mondays and Saturdays. We’re also happy to directly bill most major insurance companies on your behalf. And on top of all that? We’ve got plenty of free parking. Stoney Creek Eye Care & Eyewear Boutique will always do whatever we can to make your life a little easier, located in the Health Science Building. A truly complete eye care experience includes the best eyewear the world has to offer. Our Boutique is well-stocked with globally-recognized brands like Dior, Ray-Ban, Kate Spade, Fossil, and much more. But of course, your eyewear is much more than just your frames. We offer Zeiss lenses; the paragon of quality lens technology. By pairing the best in optical lenses with filters and coatings for improved performance, Stoney Creek Eye Care & Eyewear Boutique is here to help you look your best, see your best, and feel your best.